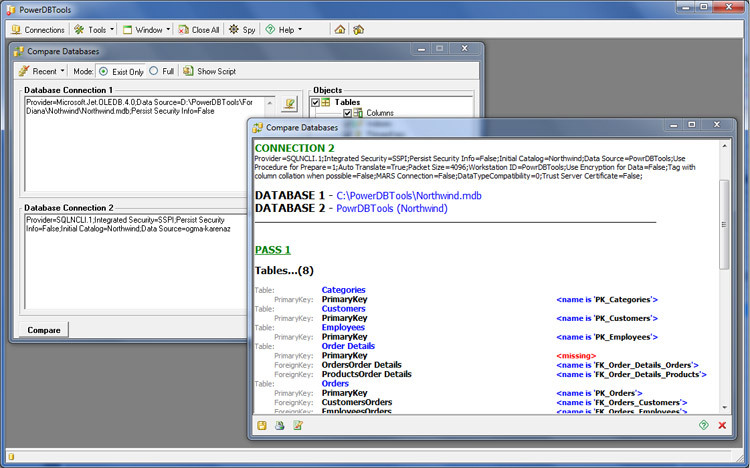 PowerDBTools is a powerful database management tool which allows the user to connect and manage multiple databases of different type in one application. 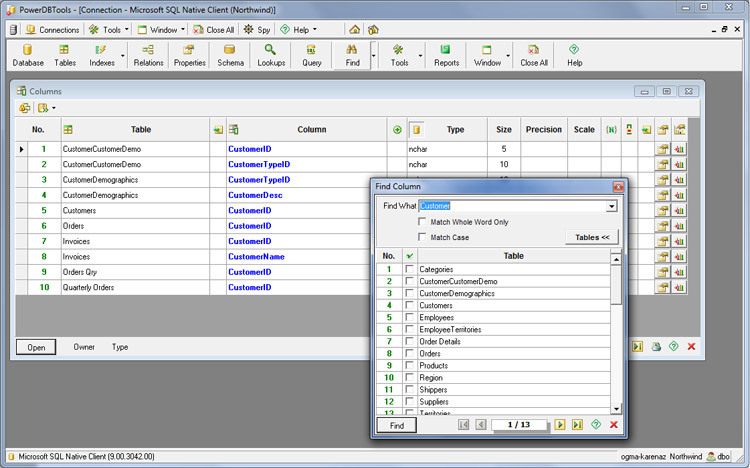 The user can manage all the different database types using the same interfaces, controls and options provided by the PowerDBTools. 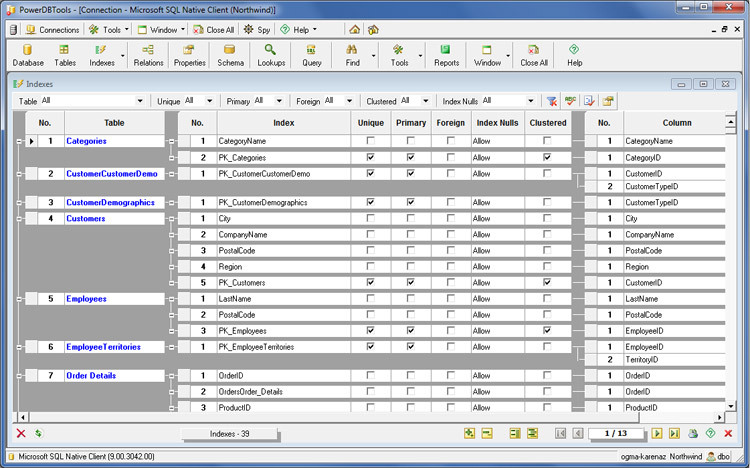 Navigation through all database objects (tables, columns, indexes, keys, etc.). 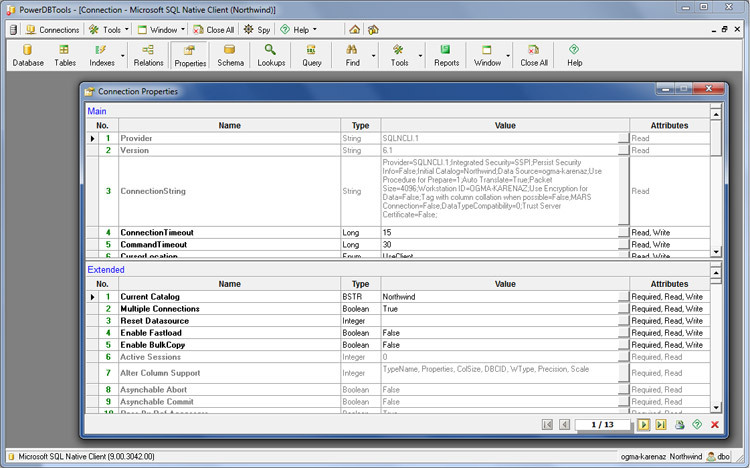 Browsing object details and invoking management features (create/rename/delete). Navigation through all database indexes (including Primary and Foreign Keys). Checking and correcting indexes/keys names. 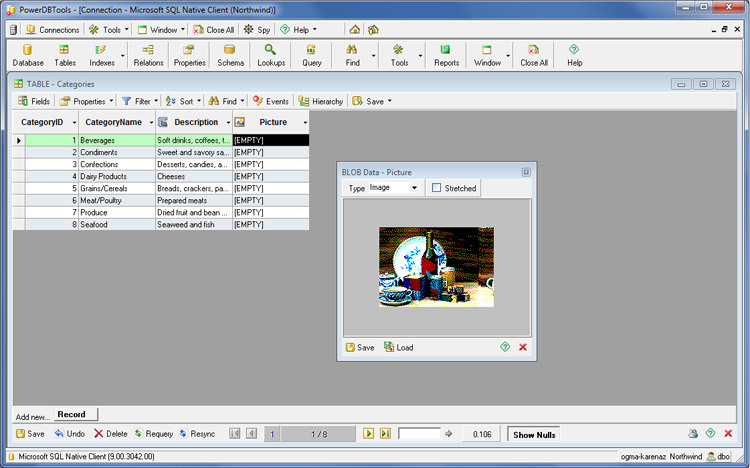 Visual relations (Foreign Keys) management tool. 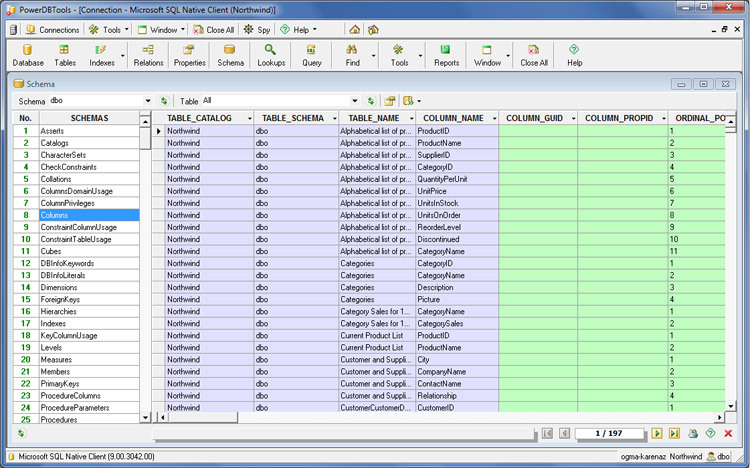 Showing and editing database data support (created via SQL statement). 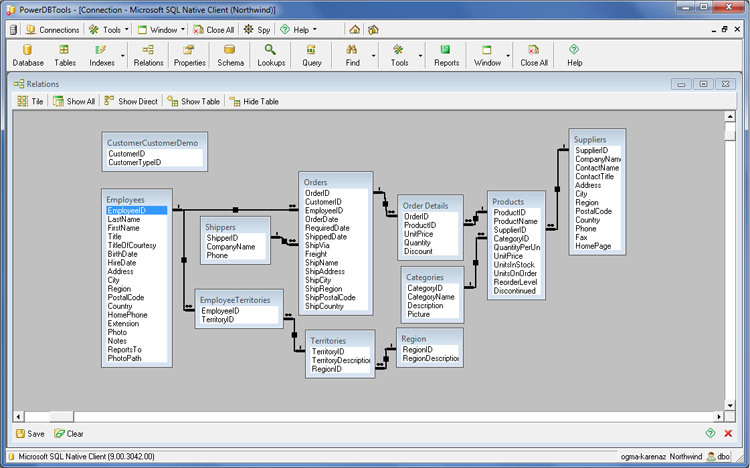 Hierarchy data support (shape recordset). Navigation through all database schema objects. 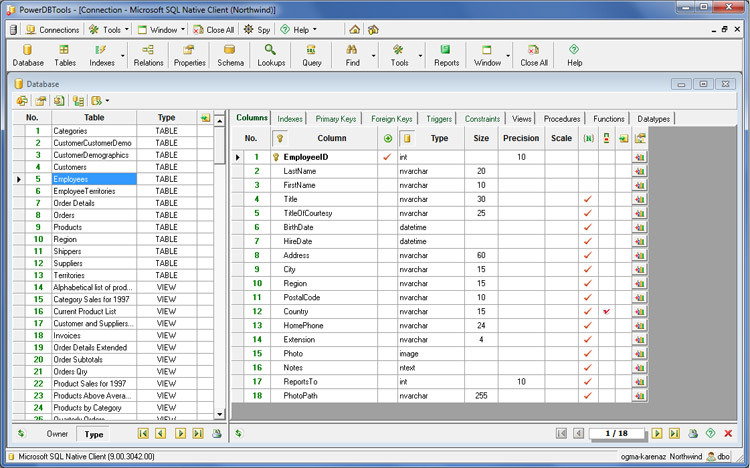 Showing and editing BLOB type columns data support (image, HTML, RTF). Database objects (tables, columns, etc.) search by name. Columns search by their default values, descriptions, values and types. Unused columns search in the database. 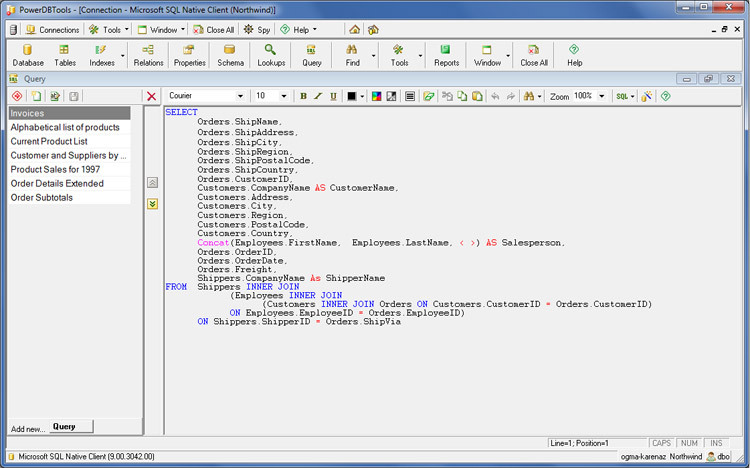 Navigation through all database object properties. 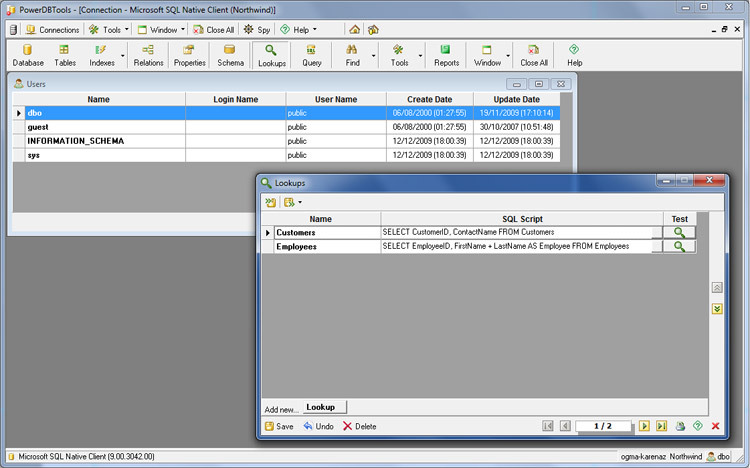 Easy backup, restore, attach, detach databases (SQL Server only). Generate SQL script for database conversion. 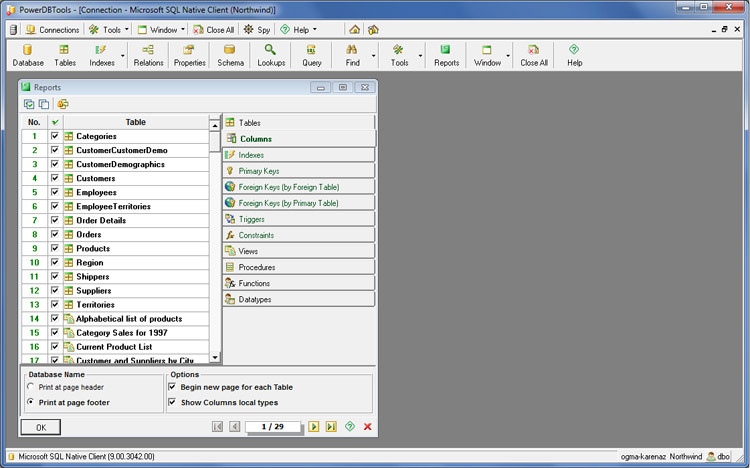 User options, layout customization, lookups creation, etc.